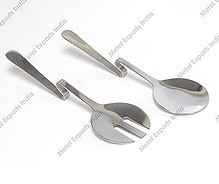 These flawlessly designed and crafted stainless steel assorted items are best designed to provide for the desired utility value as well as make its usage more easy and comfortable. Coming in elegant finishes, these are also easy to clean and maintain and match up with the aesthetic tastes of the customers. The stainless steel shoe horn makes it easy to slip on shoes without bending over, even with a little effort because it is so lightweight. 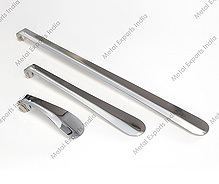 The extra-long steel shoe horn is ideal for people who have limited mobility and difficulty bending. The smooth surface prevents the foot from sticking to the shoe horn, helping it slide smoothly. This porcelain cake server beautifully compliments special celebration. A modern shape with beautiful handles lend a truly elegant look. Dishwasher safe and easy to clean. Serving salad just got simple! This Steel Salad Server Set serves up just the right amount of salad for your plate. Made from brushed stainless steel, our steel salad servers are perfect for any kitchen. 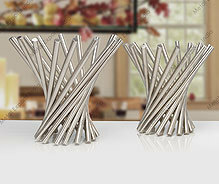 Sturdy, comfortable, and endowed with sleek good looks, this spaghetti server has it all. 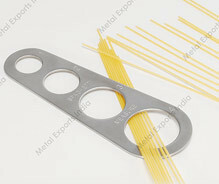 This server has been specially designed to make cooking and eating pasta less of a hassle and more of a pleasure. Safe on nonstick cookwares. 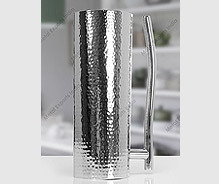 This artistically hammered water pitcher will quench your thirst for beautiful service. The polished finish creates an illusionary design for a mystic appearance. Perfect for serving water, iced tea, lemonade, or other cold beverages. 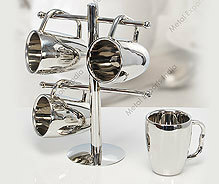 This set of beautiful mug cup with tree holder is a wonderful addition for both modern and traditional kitchen. Finished to perfection, the cups are perfect for serving variety of beverages. 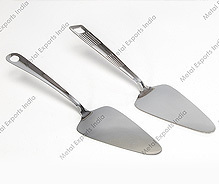 Polished surface of the set resists stains, rust and tarnish. 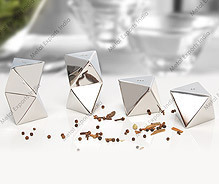 Add a whimsical touch to your table with this amazing zig-zag shaped salt / pepper shaker. Use at bedside breakfast and for formal table settings alike, or wherever you want to spoil your guests or family with their individual sets. A splendid design with an elegant finish creates a picture perfect display at every dinning setting. The timeless design fits with reserved subtlety into all manner of living worlds. Perfect for serving water and other cold beverages. A manifestation of idea that assembles hypothetical offcuts of steel wire in the form flute to create a mesmerizing design. This fruit basket makes a perfect display for the contemporary and traditional dinning setting. 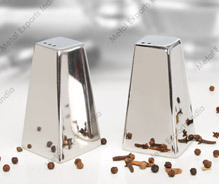 Spice up your next dinner, buffet, picnic, or barbecue with this Salt & Pepper Shakers. Sold in a set of pairs, these 18/8 stainless steel shakers do not to rust, corrode, or change the taste of the contents. 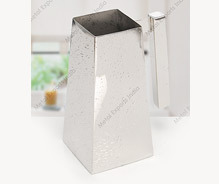 The brushed finish and innovative pyramidal design ensure these shakers will coordinate beautifully in any environment. 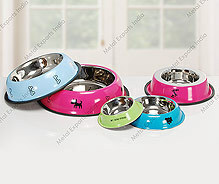 These colorful anti-skid pet bowls with color and print pattern are made from made of durable, easy to clean, scratch-resistant stainless steel. Each cat bowl features an anti-skid rubber base that prevents spills and knock-overs. In hot pink, size is half pint.